Submenus can be shown in 4 ways: - From from left to right + upwards and also left to right. - From right to left and also from right to left + upwards (e.g. for right-to-left languages). 1) Do you offer access to these icons with any other license for css drop down menu? 2) I develop sites for several clients, what is involved for them to make small changes to their menus... i.e. add or delete a menu item or sub-item... Will they need to purchase a license to make changes? 3) Does the developer version access your site at runtime? I do not have a problem registering my client sites and getting a key... I just want to make sure at runtime their site does not contact yours. A: 1) Icon collection is available in Developer licenses only. 2) No, there is no need to purchase the license in that case. 3) No, script doesn't access our site at runtime. Developer version of the script doesn't check reg. keys at all. With the Developer license you can use the menu on an unlimited number of Internet or Intranet sites and on the local machines. This version of the css drop down menu doesn't check keys and it isn't bound to a domain name,so it can be used with an application that doesn't have a fixed domain name. 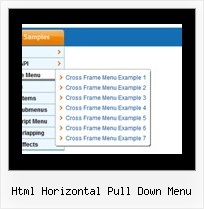 Q: IHow can i make that the background-color will be standing behind the click in this part of dhtml menu slide? Q: I have a table with uneven Rows, Cols. I would like to make popup menu in java script that displays menu next to "2006","2007" or "2008" when I move mouse to these items. I tried but it not work the way I would like to see. But I think it is Possible. Q: I'm trying to put the tree menu within a table per the instructions below, but the menu is not going in the menu but actually going on top of it! A: Please, check that you don't use absolute position for the Tree Menu. Aug 14, 2010 ... Next : Horizontal scroll bar in drop down box. Previous : Menu bar ... How to capture the event rasied by winform UserControl in html page ? My horizontal drop down menu is almost complete with the exception of the ... DOCTYPE html PUBLIC "-//W3C//DTD XHTML 1.0 Strict//EN"
Ok, it's obvious that I'll have to have something to drop down. ..... as soon as I hover out of the first child item of the horizontal menu. ... DOCTYPE html PUBLIC "-//W3C//DTD XHTML 1.0 Transitional//EN"